Even though the differences between non-hypoallergenic dogs and hypoallergenic dogs may not be huge, they are enough to reduce the amount of allergy attacks that people have when they are around certain breeds of dog. For those who want to own a dog, not being able to be in the same room with one for long periods of time, can be frustrating. Buying a hypoallergenic dog may be the only way they can have a dog in their home. While they may still experience allergy attacks, these attacks will be less frequent. Non-hypoallergenic dogs tend to shed a lot. Their fur can be loose and dense, which means that it may contain a lot of dander as well. Dander is a collection of skin cells, dust, and other particles found in the air. As the dog sheds, these particles float around in the air and cause people to have allergy attacks. 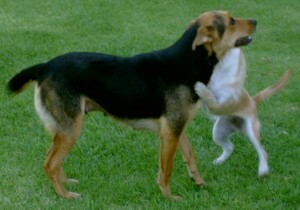 These dogs may also have an undercoat, which is a thick coat that protects them from harsh temperatures. This undercoat is what causes the dog to shed frequently. It can also trap dander and other allergens. Some non-hypoallergenic dog breeds may also salivate more often than other breeds, which can also cause a person’s allergies to increase. Saliva contains bacteria that people are oftentimes allergic to. While these dogs cannot control the amount of saliva they expel, people who are allergic to dogs have a difficult time when these dogs are present. People with dog allergies may also be allergic to dog urine as it too can contain certain kinds of bacteria. Hypoallergenic dogs have shorter coats. 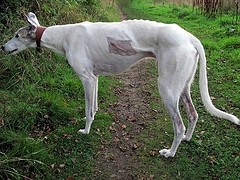 Some breeds do not have an undercoat. While this makes them unprepared for cold weather, they are perfect for those who have allergies. The hair on these dogs is more like human hair, which means it will not shed as frequently as non-hypoallergenic dogs. The hair will need to be trimmed every few weeks in order to prevent it from growing too long. Some hypoallergenic breeds do not have hair at all. They are considered hairless even if they have some hair on their paws and head. Hypoallergenic dogs do not salivate as much as other breeds. This helps those who are allergic. This means that when the dog cleans itself, it will not leave as much bacteria behind. Urine from hypoallergenic dogs does not affect as many people either. When looking for a hypoallergenic dog, you should research the following breeds to see if you are interested in any of them: Maltese, Terriers, Schnauzer, Bishon Frise, Portuguese Water Dog, Greyhounds, and Irish Water Spaniel. There are other breeds, but these are some of the more popular ones that people want to buy. This also means that you will have fewer problems finding a breeder in your area. Learn as much as you can about grooming, brushing, and caring for your hypoallergenic dog. Most breeds are very friendly and will live to be at least twelve years of age. These dogs enjoy companionship and exercise.